Nicaragua is the largest country in the Central American region and is considered the place of lakes and volcanoes. This consideration comes from the presence there in the country’s many volcanoes. Nearby are the beautiful parks such as Volcán Masaya, Mombacho and large lakes like in Nicaragua. 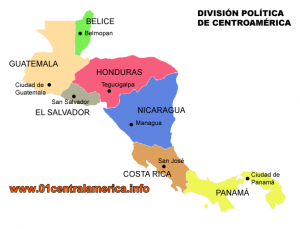 The common thought of Nicaragua is still associated with social disorder and the guerrillas during the Sandinista revolution, but on the contrary Nicaragua has now become one of the most tranquil and safest in Central America. Nicaragua is not overrun by tourists and offers visitors wonderful natural places submerged in tropical vegetation. Take a look at our descriptions of the major regions of Nicaragua to organize your trip to this beautiful country. In Nicaragua there are many famous parks, for example, the MasayaVolcano park or park Mombacho are incredibly beautiful, there are some beautiful beaches on the Pacific coast or Isla de Ometepe.